Curated by the youngest festival team in the UK with an average age of just 24, Strawberries & Creem have announced details of their fifth anniversary edition which will take place on Saturday 16th June. Returning to it’s rural home of Cambridge, the independent festival continues to shake off the town’s reputation of being purely an academic hub with another diverse line-up that sees Auto-Tune King and all-round legend T-Pain at the helm, plus acts across rap, grime, garage and house such as Not3s, Kojo Funds, David Rodigan, Heidi, Shy FX to name a few. 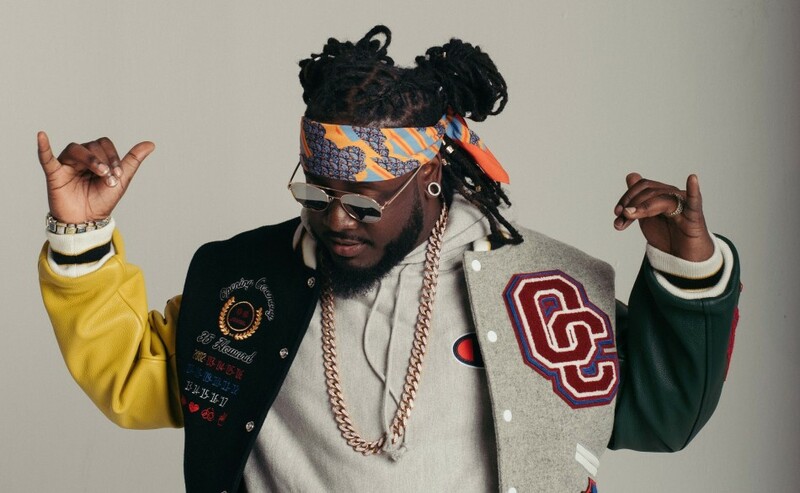 Having previously hosted the likes of Skepta, J Hus, Wiley, Kano and Shaggy in past editions – T-Pain is up there with one of the biggest names to grace the S&C stage and brings a dose of nostalgia to Cambridge with his classic party starter anthems “Buy U A Drank” and “I’m Sprung”. Breakthrough artists Not3s and Kojo Funds will make their debuts this year, while grime pioneer Ghetts, rising MC Octavian, and Kaizen co-founder Madam X will also be present, plus London collective House of Pharaohs. Legendary reggae selector David Rodigan will return to Haggis Farm having performed back in 2016, with jungle and drum & bass innovator Shy FX also on the bill, fresh from his hugely popular cult.ure event series. Further appearances include a garage allstars showcase from DJ Luck & MC Neat, Pied Piper and Nay Nay, plus Drake approved UK Funky pioneer Crazy Cousinz, and an uplifting performance scheduled from House Gospel Choir. Elsewhere, Jackathon head honcho Heidi heads up Strawberries & Creem’s house and techno contingent, alongside fast rising talent Latmun and pan-atlantic star Secondcity. Continuing to grow year on year, Strawberries & Creem reflects a fresh, millennial audience that have been at the heart of the grime and garage rebirth in the past five years – with some of its founders either juggling full-time jobs or still at University. As part of their fifth year celebrations, the festival will expand in size for 2018, but will retain their grassroots values that have been the key to their success. Representing a generation of driven and creative music fans, Strawberries & Creem continues to rewrite the rulebook on inner city festival curation, and shows no signs of slowing down. With under two weeks till showtime, remaining tickets for Strawberries & Creem 2018 are available here.